Ranger Up is an American apparel company that is owned and operated by military veterans. Their primary T-shirt designs typically involve armed forces, mixed martial arts, historical figures and liberty-related themes. The company was founded in 2006 by Nick Palmisciano, a former US Army infantry officer. While working on his MBA at Duke University, Palmisciano began making T-shirts for ROTC students and selling them to military personnel as a way to stay connected to the community. Since then the brand has become a Top 1,000 internet vendor and has utilized its success to run programs for other veteran entrepreneurs. According to its founder, Ranger Up believes strongly in empowering other veterans to share their skills and talent with the private sector. They launched their line of premium Ranger Up Jeans in 2013 with the help of notable celebrity veterans like Brian Stann. The denim line has been by all standards a marked success. 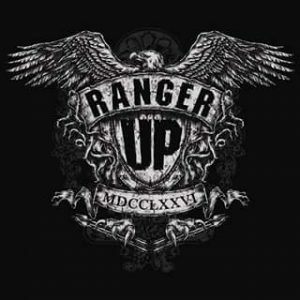 According to the website Internet Retailer, one of the big reasons for Ranger Up’s growth has been its ability to take advantage of social media. An article from January 7, 2014 stated that “Ranger Up’s Facebook posts and YouTube videos not only make people laugh, they also inspire them to pass the content on to friends,” making it second on the list of Internet Retailer’s Social Media 500—a list of companies that best use social media outlets to promote their business.